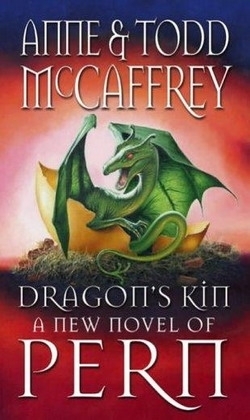 The story tells how the people of the fictional planet Pern discover the special abilities of the watch-whers or whers, a distant relative of the dragons. Subsequently, these beasts are used in mines to warn miners of gas pockets and also to locate stranded miners, should there be a cave-in. Meanwhile, the camp is without a watch-wher and minor accidents keep delaying the work. Despite the protests from Tarik and his group, Natalon decides to trade an entire winter's worth of coal for a chance for Kindan to ask a queen watch-wher for an egg. He succeeds and begins the difficult task of raising a nocturnal animal. As no records exist on how to raise or train the watch-wher, Kindan has no clue but is luckily aided by the mysterious Nuella. Together, they train Kisk and, in the process, learn a great deal about this species. This proves to be vital as, towards the end of the novel, Kisk's abilities will save many lives, including that of the camp leader, Natalon.